Larry Rogers från Azcentral.com gjorde en Q & A häromdagen med Gene. Kiss co-founders Gene Simmons and Paul Stanley have been rock-and-rolling all night and partying every day for 35 years. This year – nearly a decade after Kiss launched its ”final” farewell tour in Phoenix – the group has been nominated for the Rock and Roll Hall of Fame and continues to fill arenas with fans of all ages. 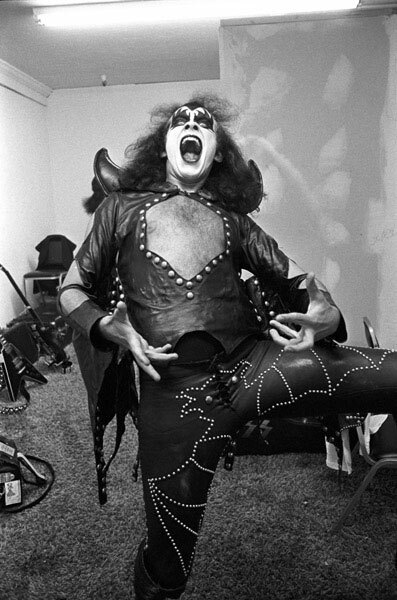 Simmons, who still wears full make-up and a costume onstage, called to talk about the band’s Alive 35 tour (in Glendale on Tuesday, Dec. 1) and performing at 60. What has made your farewell to fans last almost 10 years? Actually, there is something left to prove to yourself and to the fans . . . which is that no one member is bigger than the band. No one is irreplaceable, and that includes me. Why did you wait 11 years to put out your latest studio album? Without a retail partner, it’s not worth doing. You bust your hump . . . and then people steal it (online). Not interested. Last time I checked, Kiss wasn’t a charity. You’ve licensed more than 2,500 products. Are there a few that Kiss has turned down? Cigarettes, hard booze. Kiss crack, although it sounds good, is probably not a good idea. But other than that, why shouldn’t the entire world be branded with Kiss? ”Planet Kiss.” By the way, we own that trademark. How is your relationship with Paul after 35 years? Better than ever, although, even though we’re the same coin, we’re two different sides. We are not Jagger-Richards, not Lennon-McCartney . . . and yet when you look at who those guys were, they really were opposites. Is it ever a challenge to get up for a show? It’s always a challenge. The challenge is to (be) as good as you can be and live up to the legend. Because there is a legend – it’s 35 years on. The critics who had a problem with us have long since been buried in our back yard. Mulch is good. Here we are, with brand new generations of fans. Do you ever wish you could go onstage in just a T-shirt and jeans? What is the key to not falling down while running around in platform boots? You have to be in great physical shape. You have to know how to walk on them, and in Paul’s case, jump off the ground. You could easily break your neck, if not your leg. I’m carrying around 40 pounds of additional weight: The guitar weighs 12 pounds, each boot is over 10 pounds. Then add studs, leather, armor. And oh, yes, you’re onstage for two or 2 1/2 hours – spit fire, hold your breath, don’t swallow the kerosene – and you’re flown up to the top of the light truss. Aside from that, it’s just like being in the Stones or U2. Kiss always has employed an over-the-top stage show. Any new bells or whistles? Technology has really allowed us to kick this up. I don’t want to be too specific, but let’s just say you’re going to exhausted at the end of the night. Do you ever fear an accident involving the massive pyrotechnics that Kiss is known for? Of course. It’s not like being in Coldplay. They’re a great band, but it’s safe. You can’t be one of those guys and be in Kiss – you’ll die. 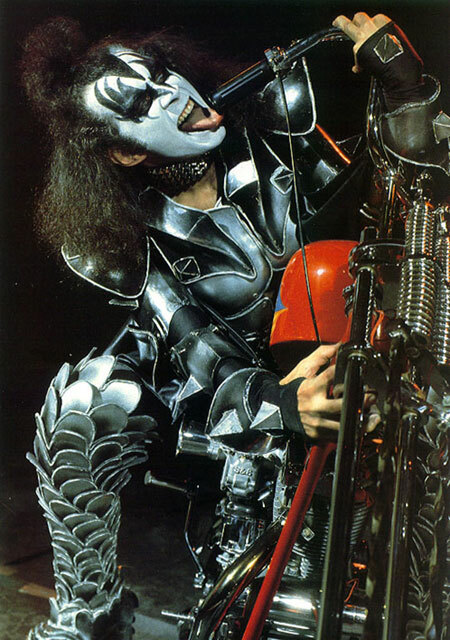 Will we see a Kiss Alive 45 tour? I never imagined a 35th-anniversary tour. I’m 60. I feel stronger, better than ever. 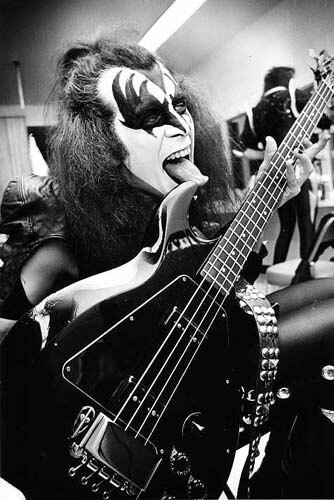 But the physicality of being in Kiss has its limitations. But Kiss can and will probably continue without us. Kiss will go where no band has gone before (using younger players). There are no rules.